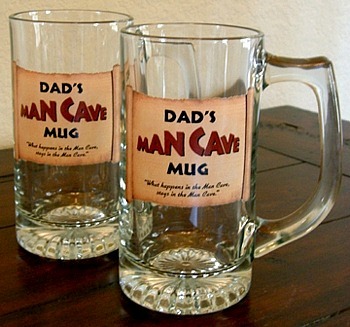 Man Cave enthusiasts will appreciate these personalized man cave glassware and barware products to enjoy in their favourite space. these glassware and barware products make wonderful gift for that special gift giving occasssion. FREE PERSONALIZATION for all Personalized Products. 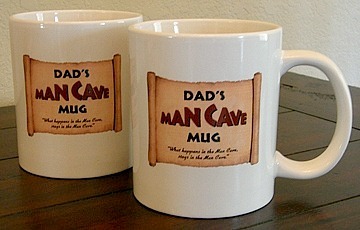 Set of 2 Tankard Mugs just for Dad. Almost sold out. Made in the USA. 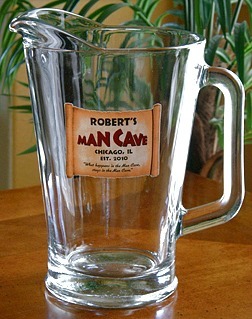 Enjoy our personalized man cave glassware and man cave barware in your mancave, home bar, home garage or favorite room. Cheers! 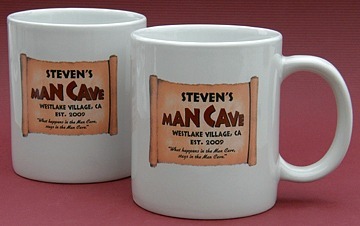 * Please note that all man cave glassware and mancave barware products in this section are purchased from and shipped by our company, Man Cave Gifts (mancavegifts.com), not from another company that we refer you to via our Referral Network.